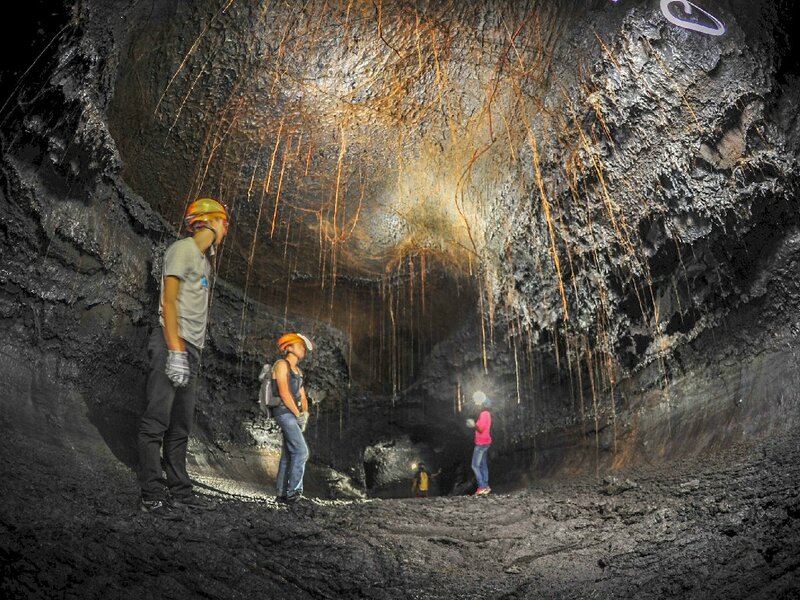 Reunion Island’s geological pyrotechnics make it an otherworldly destination where visitors can explore lava tunnels, hike the rim of an active volcano and watch the crater turn into a bubbling cauldron. It’s rather unique when compared to its tropical neighbour Mauritius and nearby Seychelles, as this Indian Ocean island has volcano tourism at its heart, but also offers spectacular adventure activities and beach experiences. 1 What is volcano tourism? 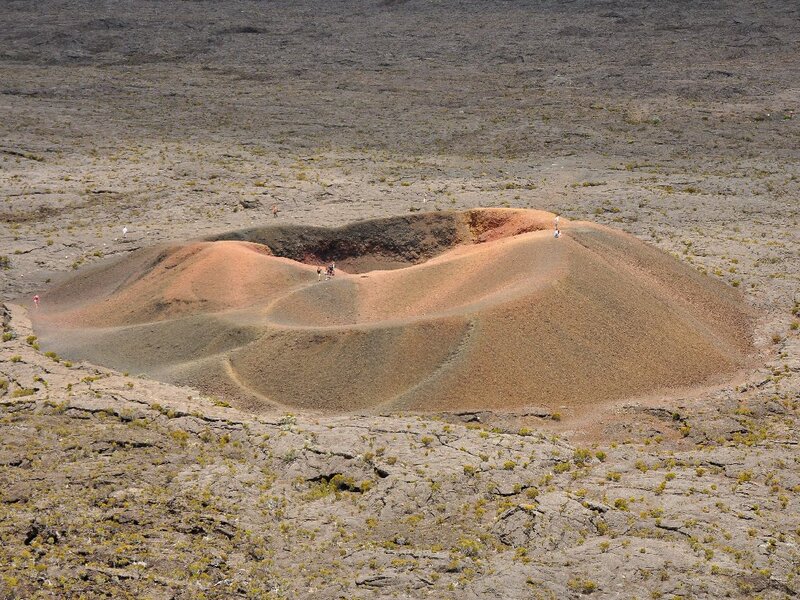 2 Is volcano tourism safe on Reunion Island? “Close your eyes,” said our guide Sully Chaffre, as we drove deeper into Reunion National Park. “Don’t open them until I say,” he insisted. It was a difficult instruction to obey. 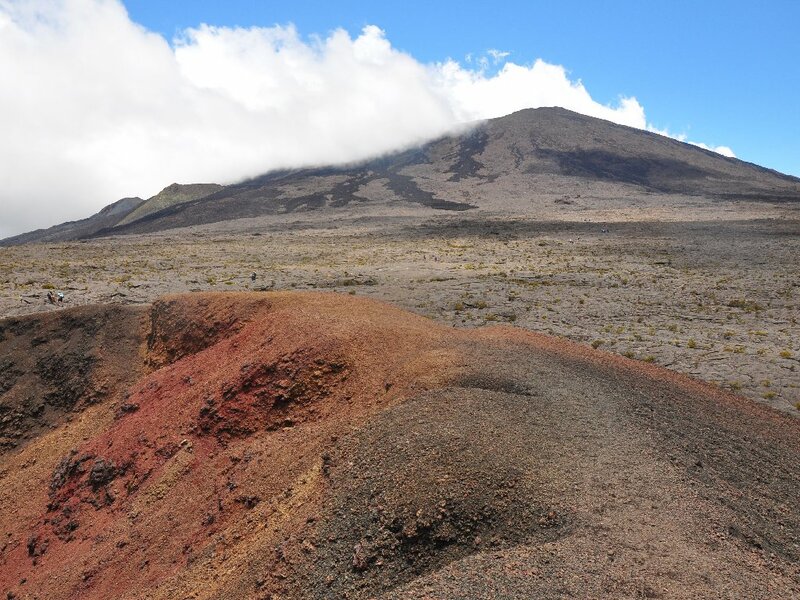 Since entering the park – which covers 40% or just over 100 000 hectares of Reunion Island – we had been wowed by the contrasts and biodiversity of this UNESCO World Heritage Site. Alpine-green landscapes scattered with cows and swept with low-lying clouds conjured from the pages of Heidi were on the one side of the road, while raptors soared over rugged, forested gorges on the other side. “Open them!” he finally exclaimed as we rounded a corner to overlook another otherworldly, rocky landscape. “It looks like something out of a science fiction film set, doesn’t it?” Indeed, this tableau of land against the sky seemed surreal, like a scene from The Martian. It was desolate until, seemingly on the director’s cue, cars zigzagged down the slope and across the unearthly landscape to produce a fine waft of dust – like the first signs of an atmosphere. The cars silently, slowly made their way towards the fold in the horizon, across a strange terrain that has been moulded by lava flow over millions of years. That all happened some 2 million years ago, just above the Tropic of Capricorn and around 800 kilometres east of Madagascar. Reunion Island is part of the Mascarene Archipelago, which also includes the islands of Mauritius and Rodrigues, and is a French department. “Reunion only accounts for around 10% of the underwater volcano, though it grows bigger with each eruption,” Kowalski told me. Found in the centre of Reunion Island, Piton des Neiges, which means “snow peak” in French, has been inactive for around 20 000 years, but Piton de la Fournaise, on the southeastern part of the island, is one of the world’s most active volcanoes. The closer we got to the latter’s eight-kilometre-wide caldera, the more evident it became why volcano tourism and related activities are the biggest draw for visitors to the island which – let’s face it – is a pretty obscure outpost of the EU. Thanks to the volcanic activity, though, it gets slightly shy of a million visits each year. After a 20-minute walk down the steep basalt cliffs, I was standing in the embrace of the 530 000-year-old wonder surrounded by craters and spatter cones, and among potholed volcanic rocks and stones of different sizes. I watched hikers make for its 2 632-metre summit, aptly called “furnace peak”. Some of them would undoubtedly camp at its rim that night, while the volcano slumbered. 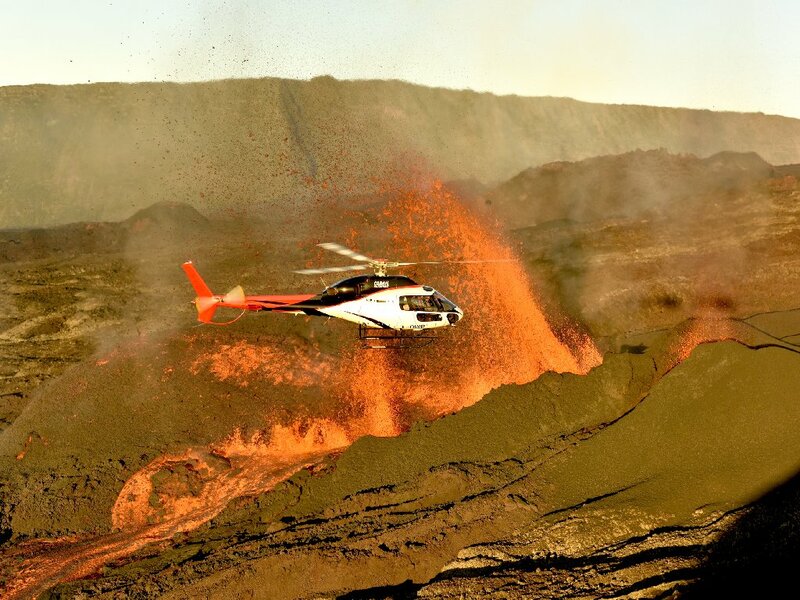 When it next reawakens, volcano vacationers – possibly the geological equivalent of thrill-seeking hurricane hunters – will fly in from around the world to witness its eruptions. For these niche travellers, Reunion Island is on the hot list because of its regular volcanic activity. Piton de la Fournaise has erupted over 180 times since her eruptions were first recorded in 1640. “We have recorded an average of three eruptions each year over the last decade, and the average eruption lasts three weeks,” explained Kowalski. 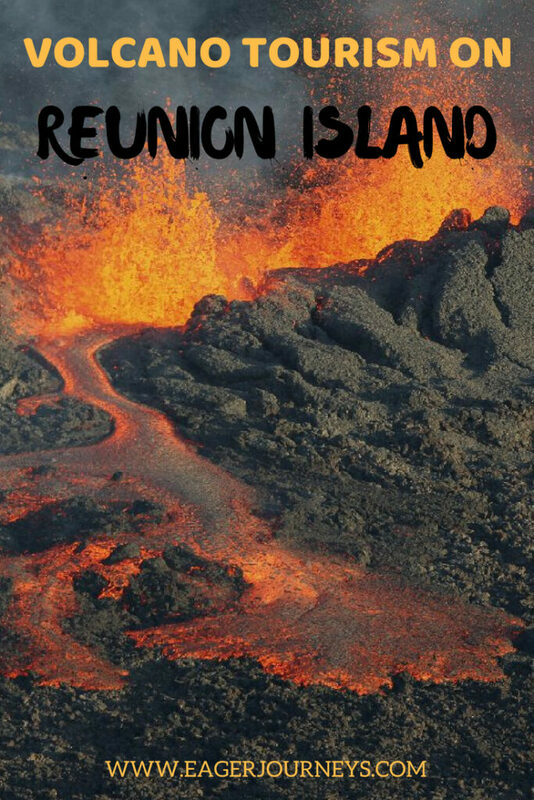 Reunion’s national carrier, Air Austral, offers flight specials ahead of and during eruptions. Kowalski explained how this basaltic shield volcano produces spectacular lava fountains and large expanses of bubbling lava rather than explosive eruptions with clouds of ash. This is because the magma in the Earth’s crust is very liquid here, making it easy for the magma to reach the surface. These geological pyrotechnics and bubbling cauldrons can be safely viewed from a close distance, overseen by park officials who ensure visitors’ safety, and from above in a helicopter. Volcano tourism is part of an industry that is carefully monitored and regulated, of course – nobody’s permitted to blithely walk into an active volcano, and any explorations should obviously only be undertaken with recognised guides. 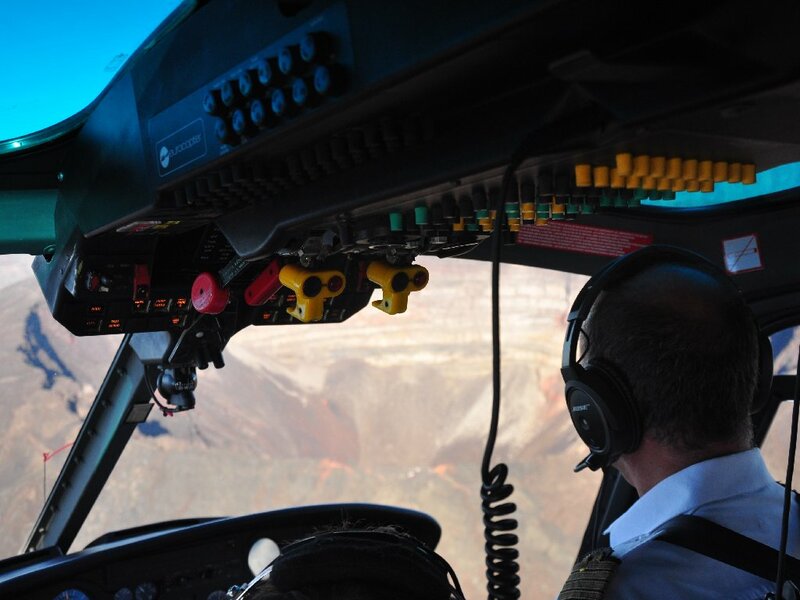 Having stared in awe from the ground, we then took to the sky for a 45-minute helicopter flight along the coast, over both volcano craters, across the verdant expanse of the protected national park with its matchbox communities, as well as the toothpick-like waterfalls that disappear into the tropical forest. Seeing the volcano from a bird’s-eye view allowed me to get a real sense of its most recent timeline – the darker the lava flow, the more recent the eruption. Hardened adventurers can also explore the volcano from yet another perspective, by going deep into the Earth’s hot underbelly and navigating the network of lava tunnels, at times on their hands and knees. Fear not: helmets, headlamps, knee and elbow guards are provided for these insane-sounding tours. 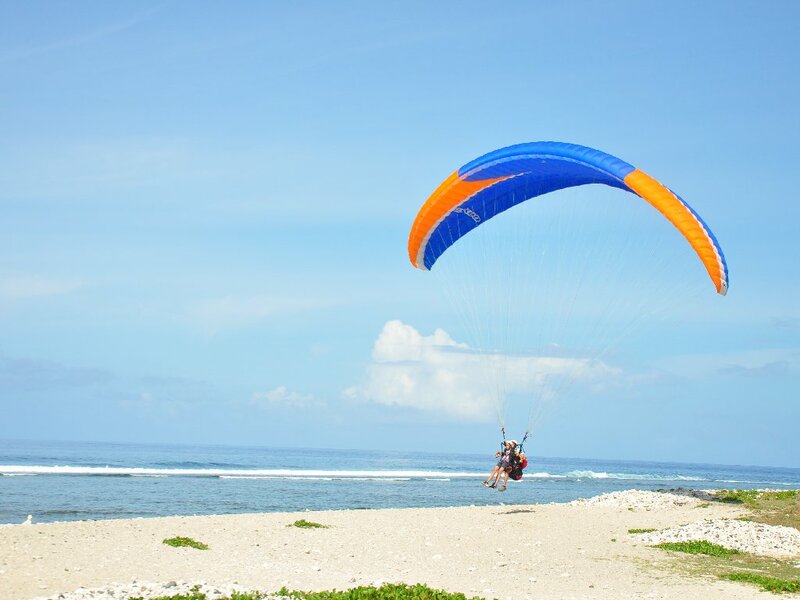 Or you can take a running jump off the slopes of Saint-Paul, at Bellmène, to tandem paraglide on the thermals over forests, sugarcane fields, a botanical garden, and the coastline where lava flow has been solidified by the ocean water. The yachts, motorboats and kitesurfers were barely distinguishable until we floated closer to Earth before touching down on the beach, where island life was in full force – from water sports and sunbathing to swimming in some of the world’s most shark-infested waters, under the watchful gaze of lifeguards and only in designated areas with shark nets, of course. 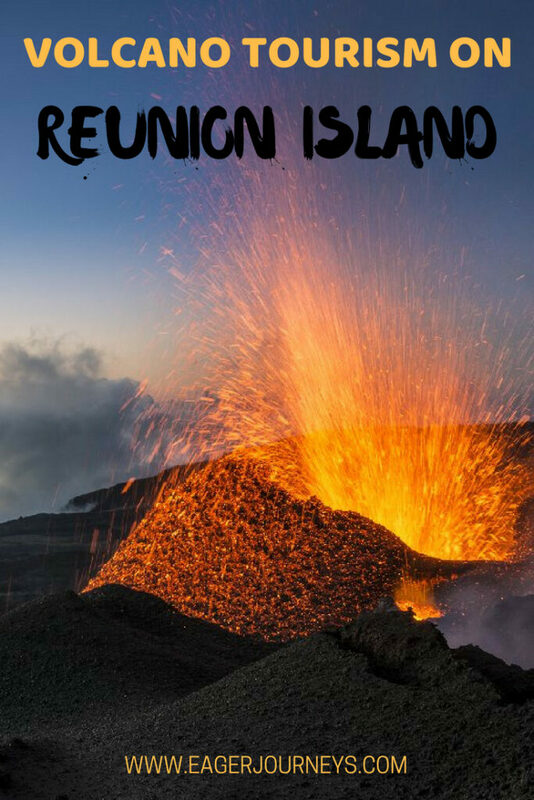 Reunion Island can be any kind of island you want it to be, it certainly does adventure best, especially when it comes to volcano tourism! 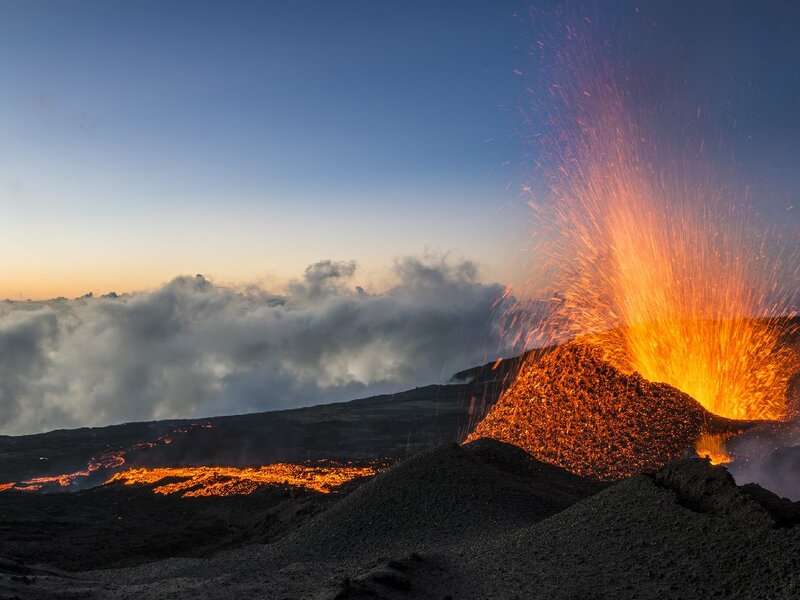 Is volcano tourism safe on Reunion Island? Yes, absolutely, that’s because the active Piton de la Fournaise is a basaltic shield volcano that doesn’t produce explosive eruptions with large clouds of ash, instead an eruption produces spectacular lava fountains and large expanses of bubbling lava. This is because the magma in the Earth’s crust is very liquid and so it is easy for it to reach the surface. It’s a very ‘calm’ volcano (if you can call it that), which makes volcano tourism safe. Entry and activities within Reunion National Park are also also strictly regulated when the volcano is active. 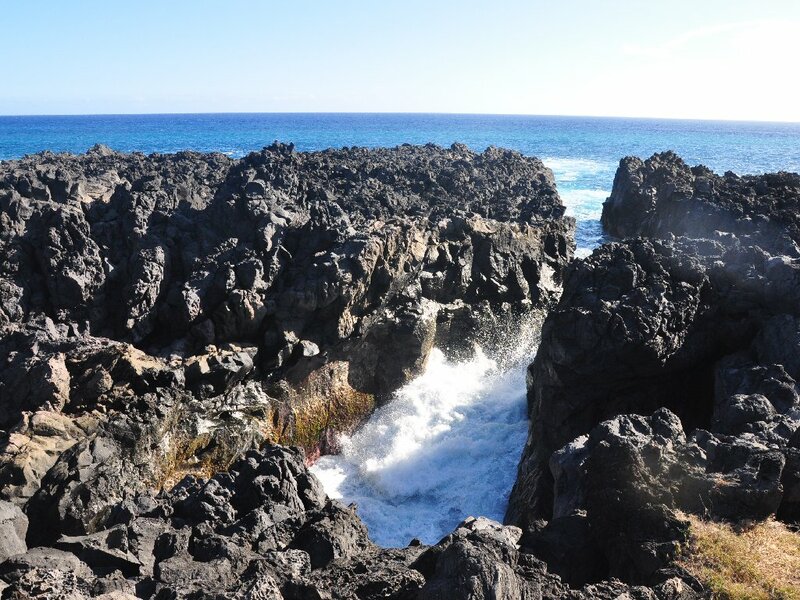 As Piton de la Fournaise is located on the south-eastern part of the island, near the coast, most of the lava flows directly into the Indian Ocean. 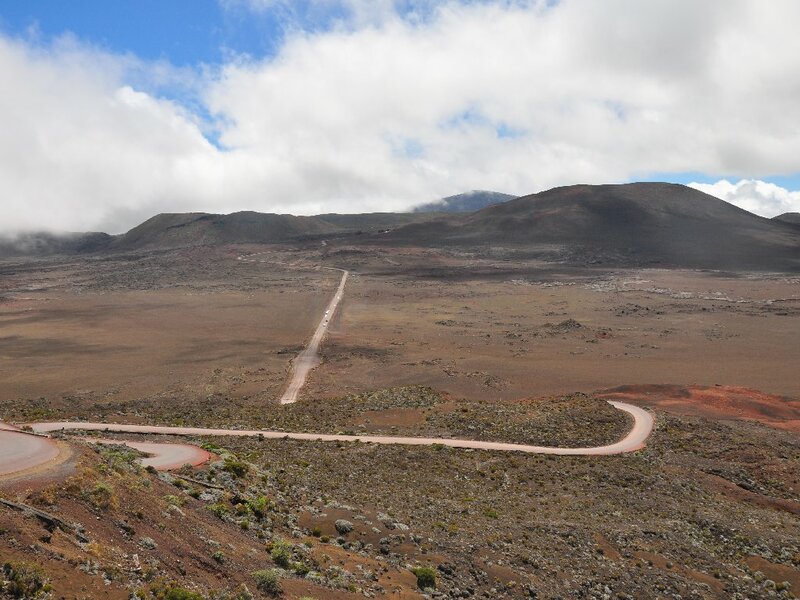 There is a ring road that lies in the lava’s path, which is closed off to traffic during an eruption and cleared before being reopened. 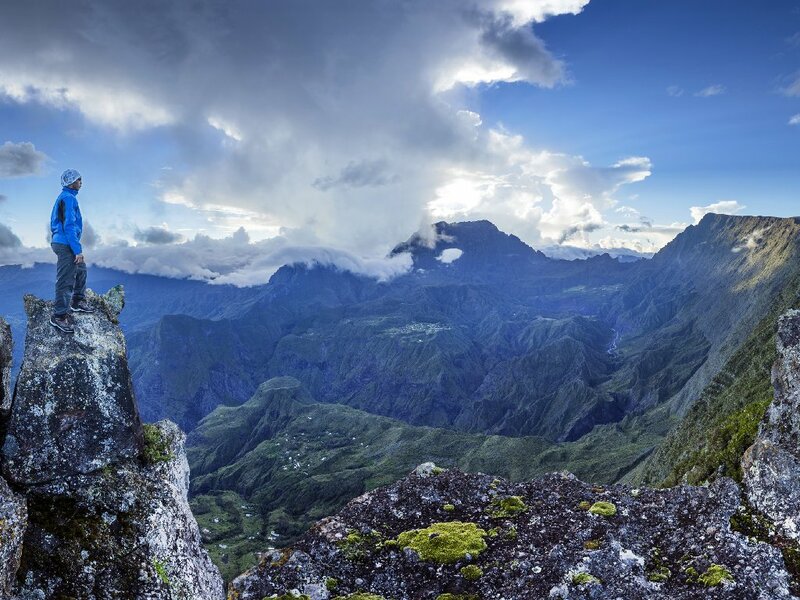 Though Reunion Island has a tropical climate, each region has its own microclimate. Summer, from November to April, can be humid and temperatures can reach above 30°C. The tropical cyclone season runs from December to March, though only about one or two cyclones make landfall each year and only last a few days. The austral winter, from May to October, sees average temperatures of around 24°C and seldom below 20°C, though the higher you go, the colder it gets. Humpback whales are often spotted off the coast from June to September. 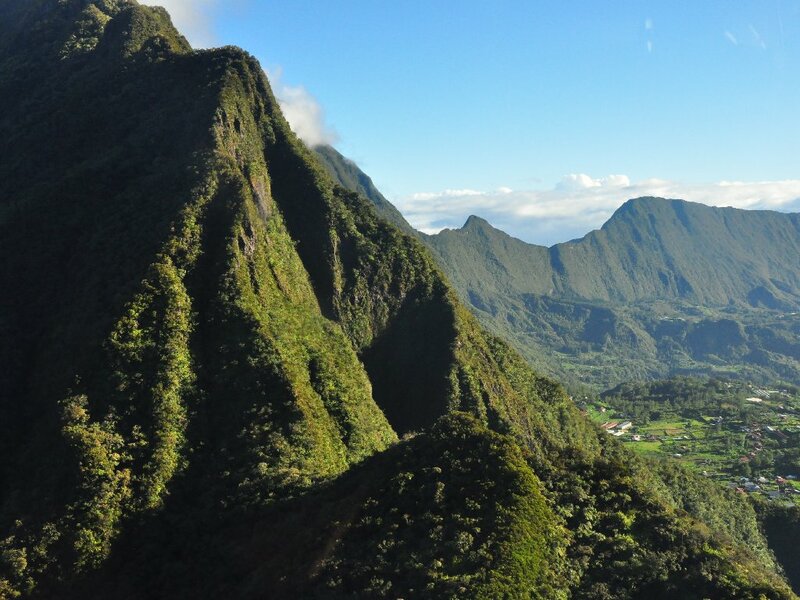 Find more useful information on the Reunion Island Tourism Website. Air Austral, Reunion’s national carrier, has direct four-hour flights between Johannesburg and St Denis and offers flight specials during volcanic eruptions, so you can make the most of volcano tourism. Air Mauritius also operates daily flights between Johannesburg and Reunion, with a short stopover in Mauritius, from there Reunion is only 45 minutes away. Air France also has regular flights, if you’re travelling from Europe. 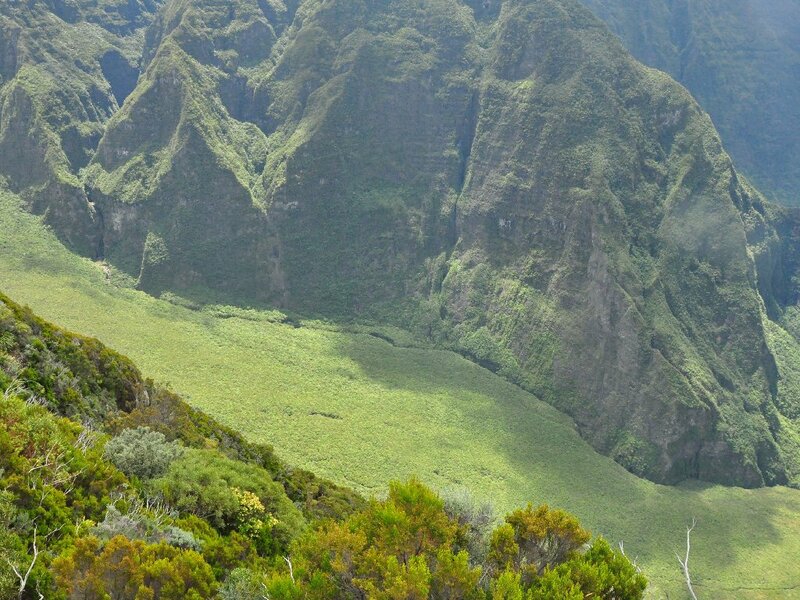 Reunion Island is 63km long, 45km wide and covers an area of 2 512km2. Hire a car (an international driver’s license is required) and road trip around the island, on the right-hand side of the road, like in France. International car hire brands, such as Avis, Budget, Europcar, Hertz, Rent a car, Sixt are available, as are numerous local brands. French is the official language, though a Reunion Creole and English are also spoken. As in France, the Euro is the currency. South African passport holders do not require a visa for tourist stays of 30 days or less. For other passport holders, travelling to Reunion Island requires the same visa regulations as travelling to France. When it comes to anything and everything related to volcano tourism (but not only), Sully Chauffe of Ethnix Tours Decouverte is a friendly and knowledgeable guide, who can customise an itinerary based on your time, interests and budget. Alternatively, contact the Réunionese Association of Tour Guides on: +262-06-9392-8669. I was hosted by the Reunion Tourism Board and Air Austral, as I was visiting on assignment as part of my freelance work. As always, I maintain editorial control of all content published on this website, but you already know that. ;) The three photographs with credits have been willing contributed by the photographers via the Reunion Tourism Board. If you enjoyed this post, please PIN it for later! Iga Motylska is a Johannesburg-based freelance writer, photojournalist, sub-editor and blogger. She is published in numerous local and international publications, including: Forbes Africa, Forbes Woman Africa, Forbes Life Africa, CNBC Africa, Ventures Africa, Marie Claire, Sawubona, AA Traveller, Fastjet inflight magazine and Seoul Magazine among numerous others. Her editorial interests range from documenting the entrepreneurial spirit to women's and human rights issues, environmental affairs and of course travel writing. I had not pictured Reunion as a place for volcano tourism, I was only considering it for diving, but now I am thinking I should definitely get there and for longer time! How exciting and interesting! I’ve been looking at Reunion Island since I spent a year on Martinique, another French island. I think they are quite different, but both are lovely just the same. I would love to be there when the volcano is erupting. How beautiful. The sharks give me pause though. I love the water so much. I wonder if there are a lot of attacks. I think I would love the helicopter ride. Do they allow tourists to go up during the actual eruptions? Wow this looks absolutely stunning! I’m from a volcanic island myself (Terceira island, in the Azores) and can see some similarities in the landscape. Would love to visit Reunion Island someday!